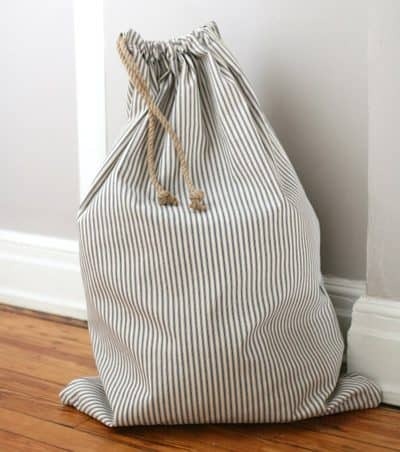 There is nothing quite as easy yet satisfying as whipping up a fabric bag. 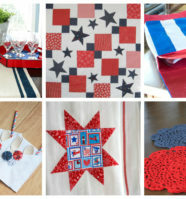 It’s also great for using those cute fabric scraps you’ve been hanging on to and are wondering what to do with. 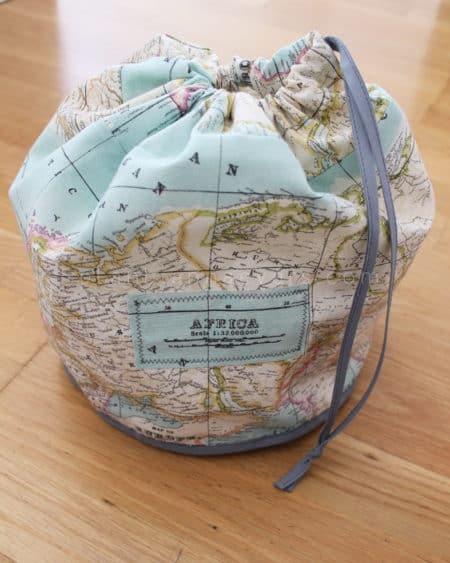 Drawstring bags are perfect for so many things including shopping, gifts, overnight bags, laundry bags, book bags, shoe bags, swim bags, travel bags and basically anything else you can imagine. 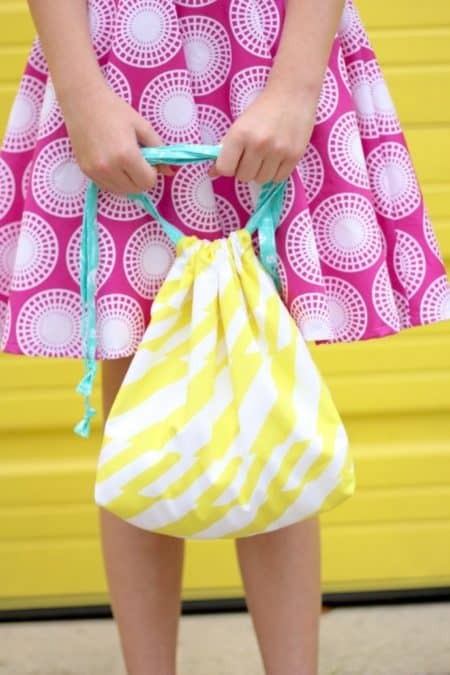 Check out these 17 easy drawstring bag patterns to sew in one hour or less. 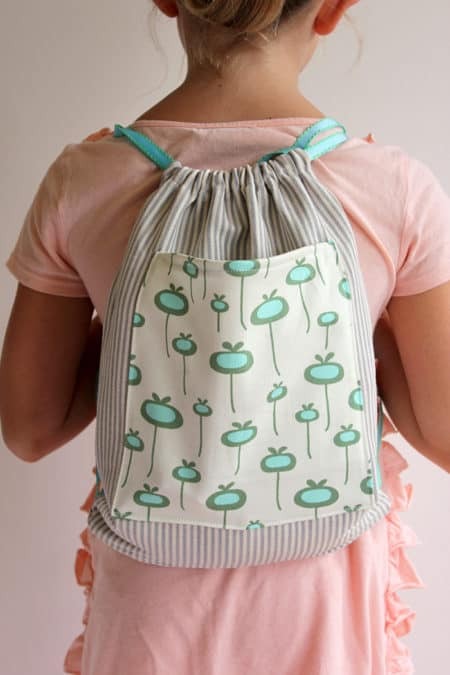 Soon you’ll be making drawstring bags like crazy with these fantastic tutorials. 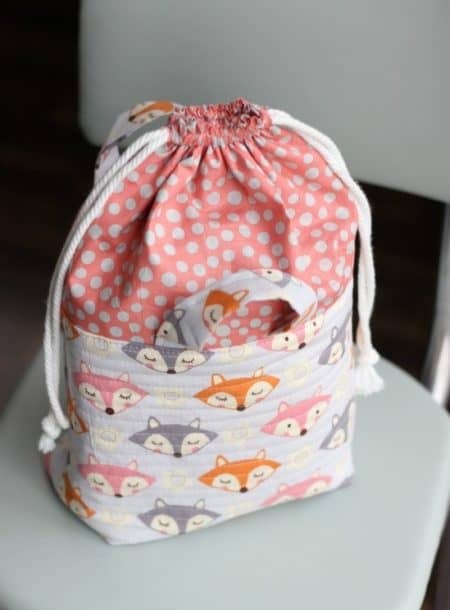 If you’re looking for a simple sewing project to do with your kids, here’s a drawstring backpack you can make in 30 minutes or less. 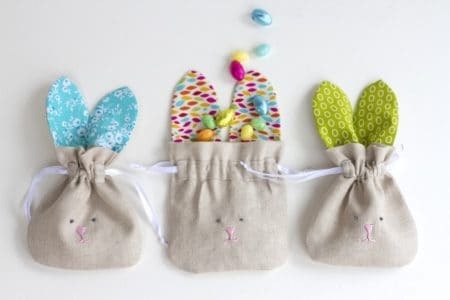 these simple Drawstring Bunny Bags that are really quick to sew up…and are perfect for this time of year! Here’s a really quick and easy bucket bag tutorial. 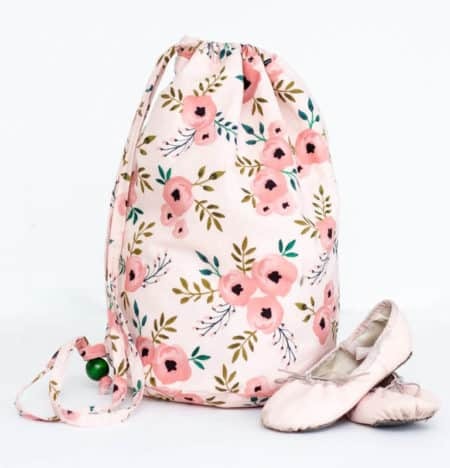 It’s really roomy and perfect for dance gear…but would be great for lots of other things too! Seriously, what kid doesn’t want a little backpack to carry around their found treasures, books, gum, lip balm (or lip chap as Harper calls it) and little trinkets? 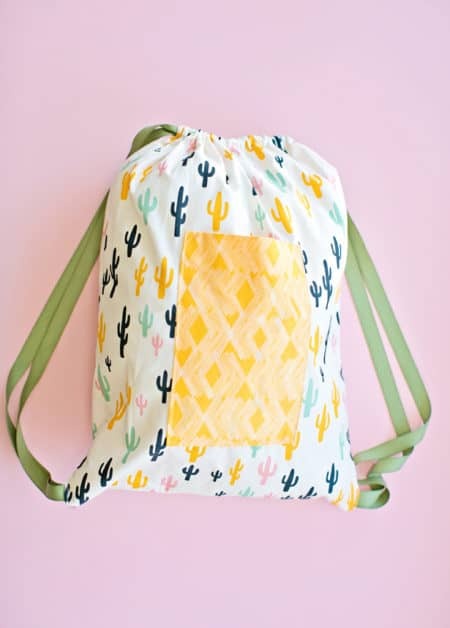 Learn how to make this great little backpack with this easy tutorial. 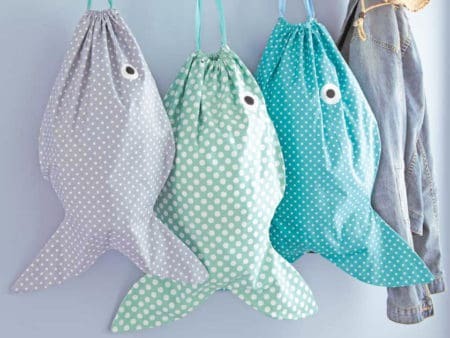 These fish bags with drawstring fastening make ideal laundry holders and are fun for all the family. 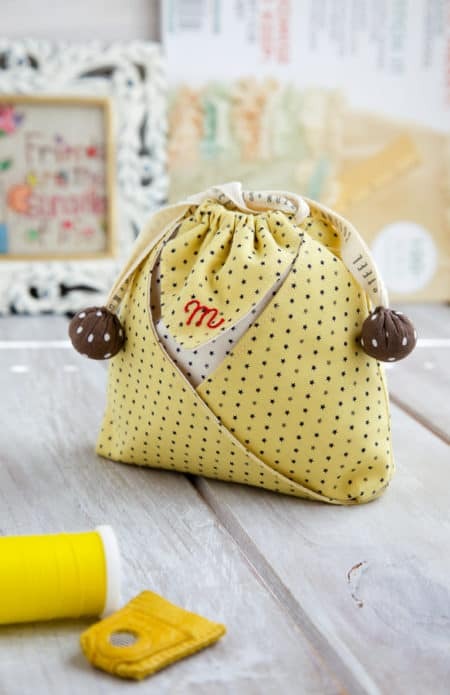 Learn how to make this cute little pouch – it’s super easy and simple, you have to be careful to stop making more and more. You can carry your cosmetics there, you can carry your everyday usable items, even fruits – literary everything can be carried by this bag. You can adjust the sizing and it may very well serve you as a backpack. Check out this DIY to make nice and white embroidered (or not!) 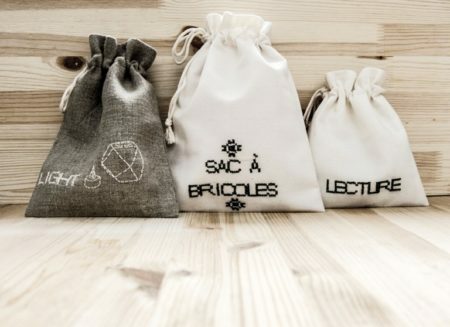 fabric-bags. You will be able to slip anything into it. 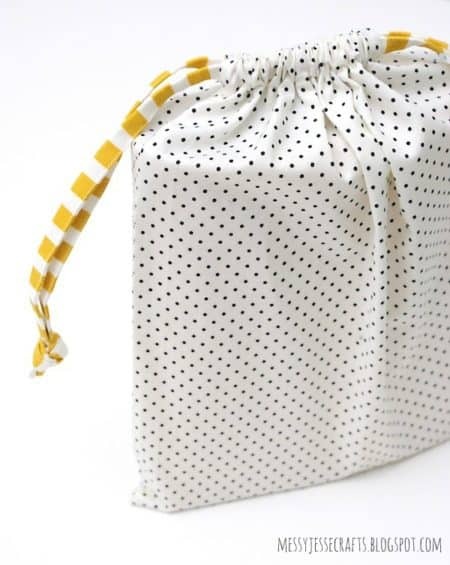 Napkins, handkerchiefs or doilies to match the household linen theme, but also use them as gift-bags! Follow the guide, it will be a piece of cake! 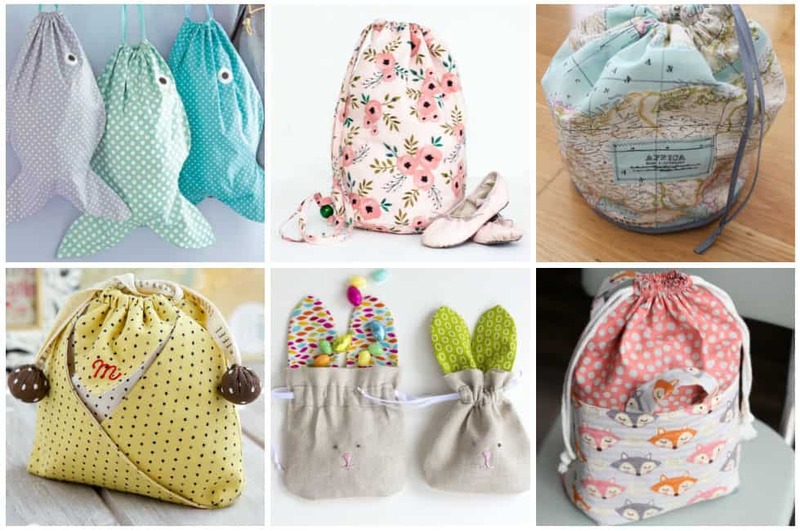 Even if you’re no longer a beginner, there are a million reasons to make and use drawstring bags. You can use them for shopping (no runaway lemons), gifts, travel, and organizing. 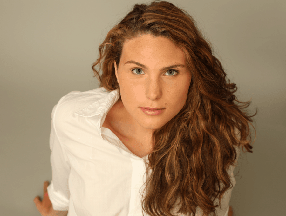 Learn how with this great video tutorial. 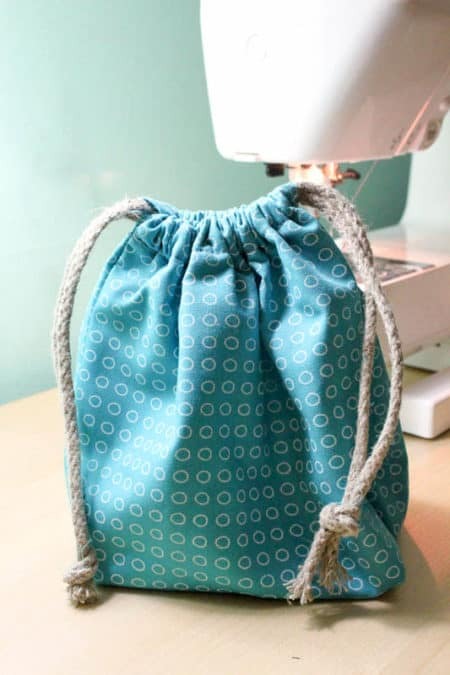 This tutorial will show you how to make a simple drawstring bag with French seams. French seams encase your raw edges so that you don’t need to add a lining and you will end up with a very neat little bag. 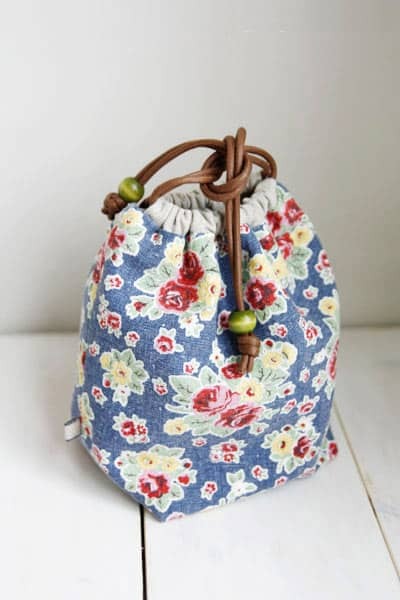 Why not a little drawstring bag? 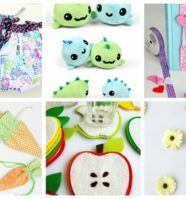 They’re perfect for tiny toys, cosmetics, and so much more. 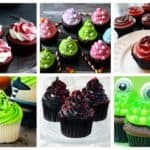 Want to make one, too? All you need is a little ribbon and two fat quarters. This project truly is easy for beginning machine sewers or those just returning to the hobby after a long time. 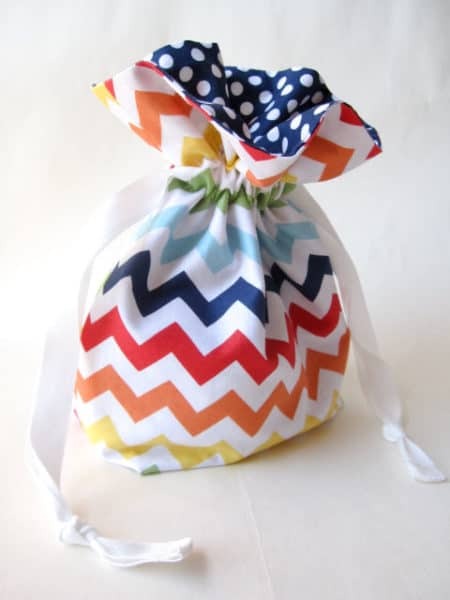 Here’s a super easy drawstring bag you can make to keep all your special or valuable items dust free. How great would a few of these be for storing toys? The tutorial was simple to follow and would be really easy to size up to make a bigger basket. 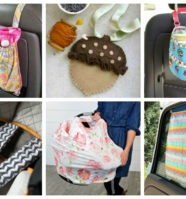 Learn how easy it is to make a cosmetic bag or as popularly known as a toilet Bag. The truth is that this is a multifunction bag – you can use this type of bag to carry shoes or also keep dirty clothes separate from clean clothes inside your suitcase. 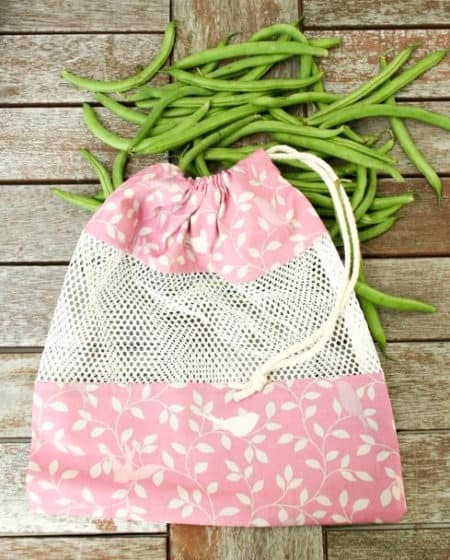 Ready to make your own reusable bags? These are great for the grocery store, farmer’s market, or even for collecting shells at the beach. 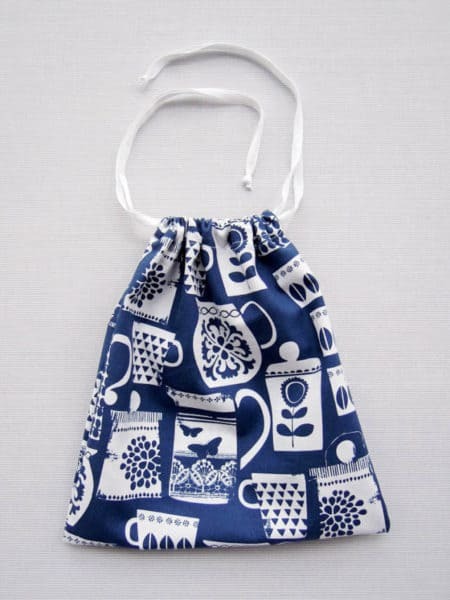 I bet you’re chomping at the bit to make your own drawstring bags now. 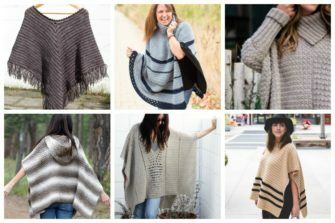 Why not – they’re versatile, easy to make and it seems you can never have too many!